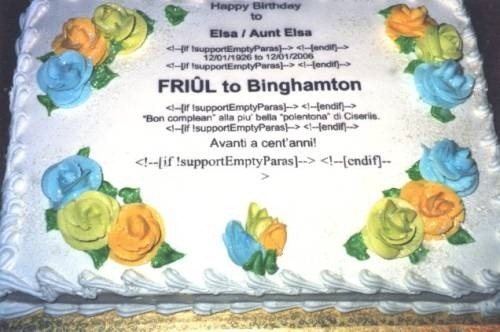 The geeky cake. Read what happened here. I always love it when I train people who have limited computer skills and I get to show them copy and paste or cut and paste. While initially confused by the concept, they soon adopt the clipboard functionality and it becomes their number one instant productivity tool. Cut, copy and paste can be used to move folders around the computer, get files into folders, insert pictures into documents, duplicate text across files. And because it has become so ubiquitous, we take it for granted. When the iPhone was launched in 2007, its lack of clipboard functionality caused much criticism. 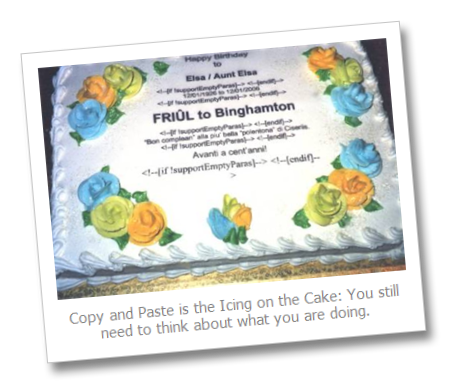 When finally added, cut and paste was celebrated around the blogosphere iPhone finally gets copy and paste. And when we take things for granted, we sometimes use them without thinking as with this example of typographical instructions left behind, taken from the excellent HeritageWeek.ie. Can we guess? 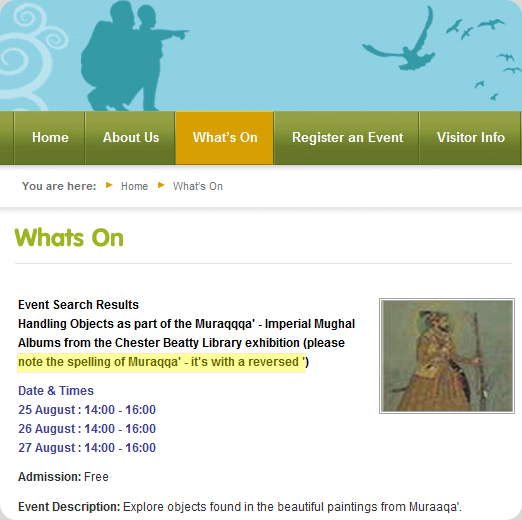 The event organiser (Chester Beatty Library) emailed their listing with special instructions for spelling. The website editor copy-pasted the whole thing and did not even need the instructions at all then. So be careful that it doesn’t happen to you! Learn how co cut, copy and paste with the clipboard and marvel at the time savings offered by that simple feature. If it didn’t exist we would have to invent it again.